Celebrate and remember the true meaning of Christmas with this 7.9-Inch olive wood Nativity music box from Kurt Adler. It is handmade in Bethlehem, carved from olive wood from the Holy land. 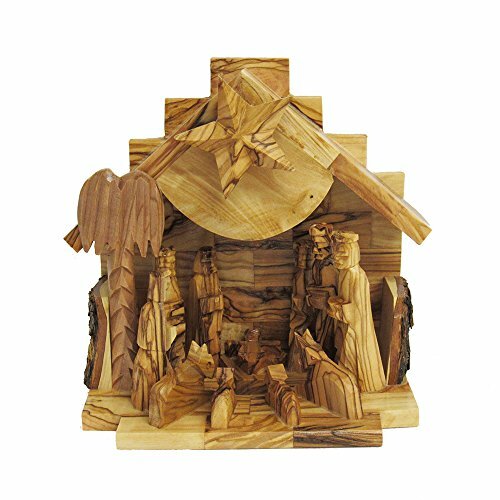 Its wooden finish features simple carved figures making up a beautiful Nativity scene. When the star on top of the creche is wound up, this piece plays the tune of "silent night."